SCI along with two of the Shapoorji and Pallonji Group companies’ viz. Forbes & Co Ltd and Sterling Investment Pvt. 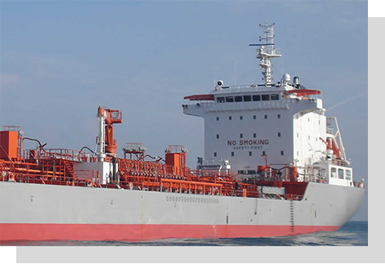 Ltd have co – promoted India’s premier chemical tanker company “SCI Forbes Ltd”. SCI holds 50% stake where as Forbes & Co Ltd and Sterling Investment Pvt Ltd hold 25% stake respectively. SCI Forbes was incorporated on 18th July 2006. SCI Forbes commenced its operations during the financial year 2009–10 after the delivery of its four chemical tankers of about 13,000 dwt each. All the four vessels of SCI Forbes Ltd are flagged in India. Liquefied Natural Gas (LNG) has been identified as the fuel for India's power plants and as feedstock for chemical/petrochemical industry. SCI has identified carriage of LNG as one of its thrust and growth areas, and has its presence in the Petronet LNG project (PLL). India LNG Transport Company No.1 & 2 Ltd.
SCI along with its consortium partners, viz. 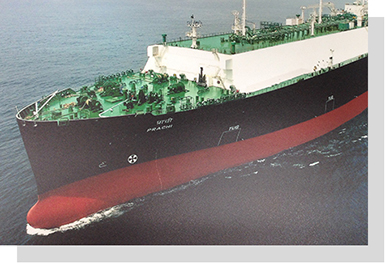 premier Japanese shipping lines & a Qatari Shipping Company formed two Joint Venture Companies (JVC) at Malta; i.e. India LNG Transport Co. No.1 Ltd. & India LNG Transport Co. No.2 Ltd. for the construction, ownership and operation of two LNG tankers, viz. S.S. Disha and S.S. Raahi. Both the ships are chartered on a long-term 25 year Time Charter with PLL. These vessels were delivered on 09.01.2004 and 16.12.2004 respectively. SCI's equity stake in each of the JVC’s is 29.08%. 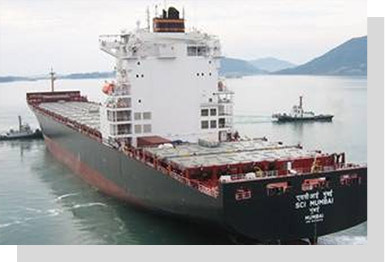 SCI has taken over as manager for the technical and commercial operations of the two ships with effect from 01.01.2009. Cargo Carried till 20.08.10 from inception is 30.28 MMT. India LNG Transport Company No. 3 Ltd.
SCI with its consortium of Japanese Partners & a Qatari Shipping Company has formed a JVC at Malta for constructing, owning and operating one LNG tanker of 154,800 cbm for the PLL Dahej Expansion Project. MT Aseem owned by India LNG Transport Company No. 3 Ltd. was delivered on 16.11.09. SCI has taken up the role of the manning agent for the tanker and operating it with full SCI manning with its officers and crew on board right from the delivery. The Time Charter Agreement will be for a period of 25 years, i.e. until 2034. This tanker will supply an additional 2.5 million metric tons of LNG per year to the Dahej Terminal of M/s Petronet LNG Limited. SCI's stake in the joint venture is 26%. 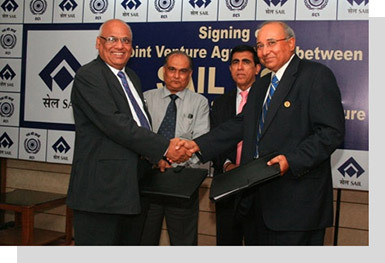 SCI and SAIL have enjoyed excellent commercial relationship for over a decade and to foster this relationship further both the companies have co- promoted a 50:50 shipping JVC “SAIL SCI SHIPPING PVT LTD” (SSSPL). The primary objective of the JVC is to provide various shipping related services to SAIL for importing coking coal and other bulk material from various countries to feed its steel plants located in India. Going ahead it is projected that SSSPL may spread its wings in other marine activities like coastal shipping, ports etc. SSSPL was incorporated on 19th May 2010. The registered office of the company is located in Kolkata. Currently, SSSPL is in process of acquiring suitable bulk carriers which will carry SAIL’s cargo.